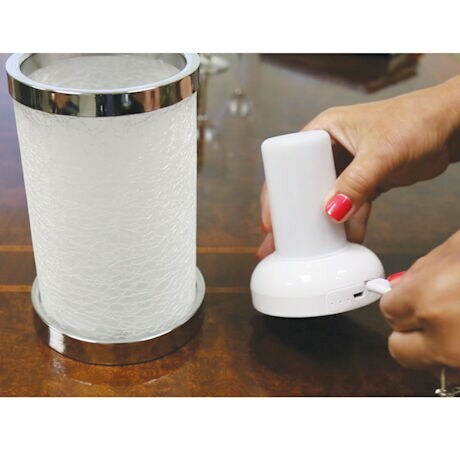 Patented technology showcases an LED light that appears like a gas flame behind frosted or crackle glass. 100 LEDs flash in programmed sequence to simulate a real, flickering fire. 4.5" diameter handmade glass with metal base and rim. 7" tall. Settings are for 3 hours on, or 6 hours on. Easy on/off button. Indoor and outdoor use. 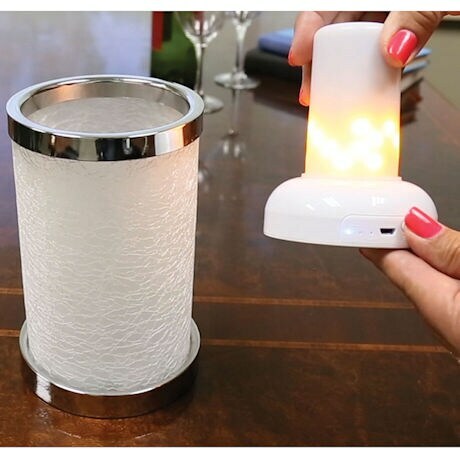 Both lantern and LED are water-resistant. 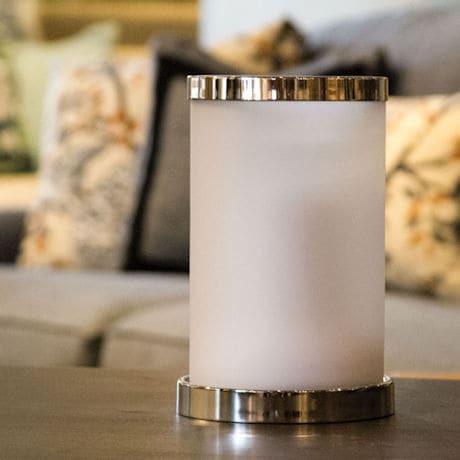 Use on the mantle and dinner table for indoor use. 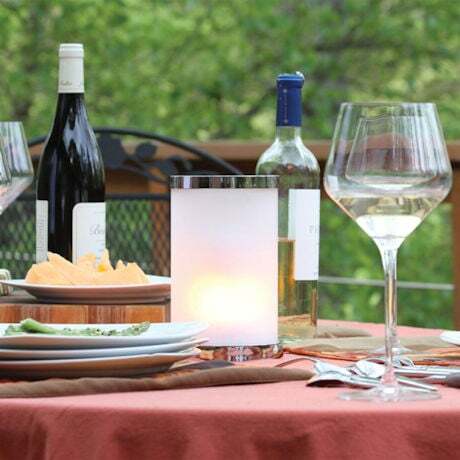 Use on the patio or outdoor space for outdoor use. 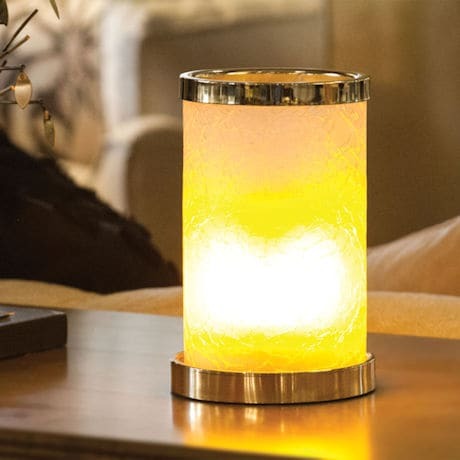 Beautiful as wedding centerpiece lighting, or special occasion lighting. 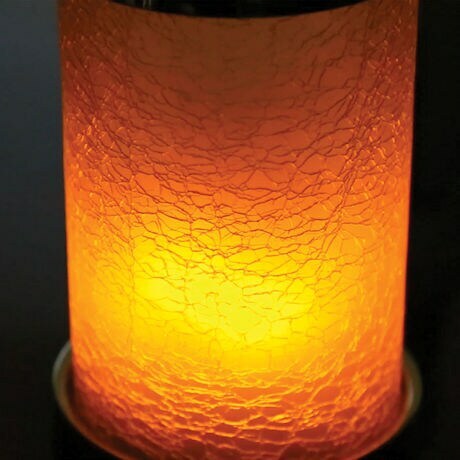 Create a beautiful centerpiece or mantel display with this patented LED Gas Flame lantern. 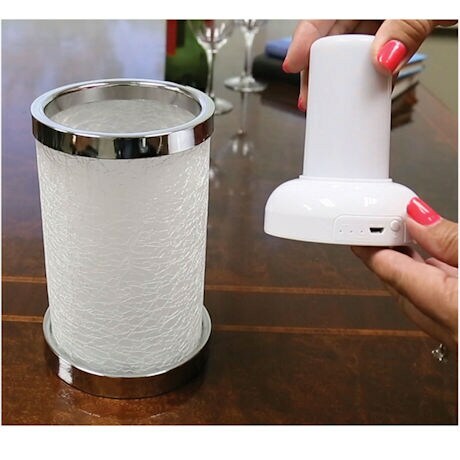 With all the look of a real flickering gas lantern - one of the earlier light sources for street lamps and homes - without the mess or hassle. 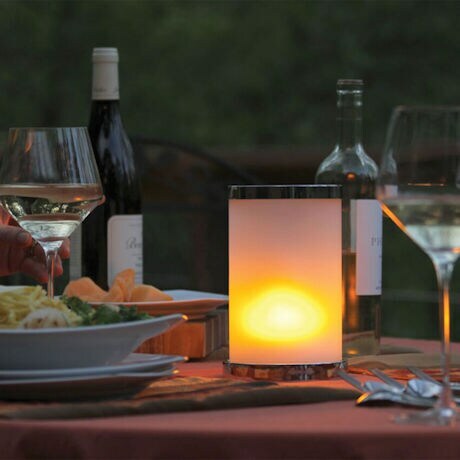 Take this lantern with you indoors and out, without wires or cords to get in the way.